Interested in the beliefs of Billy Graham? Following the outpouring of praise and the renewed interest in the life of Billy Graham, we are honoured to be able to release Billy Graham: Dialogues on faith, family and more in paperback for the first time. In the series of interviews with the legendary broadcaster Sir David Frost, Billy Graham reflects upon his life and ministry. For thirty years, Billy Graham and David Frost fascinated television audiences with their conversations about God, the Bible, and Billy Graham's decades-long ministry. David Frost asked the questions that thousands of viewers wanted to ask. Billy Graham answered them with authenticity and grace. With engaging honesty , Billy tells stories of his earliest crusades, his involvement in the civil rights movement and his role as a spiritual mentor to several presidents. He also speaks candidly about his failures and the part suffering and doubt played in his spiritual life. Along the way, Billy Graham provided insight into life as an evangelist, a Christian father and grandfather, and a public figure in a changing culture. Most of all, Billy Graham's words show what it means to live out your beliefs—whether you speak to millions of people around the world or simply want to live faithfully at home and work. With a chronology of Billy Graham's life, and a preface from David Frost, this weaving of stories, interviews, and reflections will inspire you to respond to God's call with no reserve. Billy Graham by Sir David Frost was published by David C Cook in March 2018 and is our 8880th best seller. The ISBN for Billy Graham is 9780830776443. 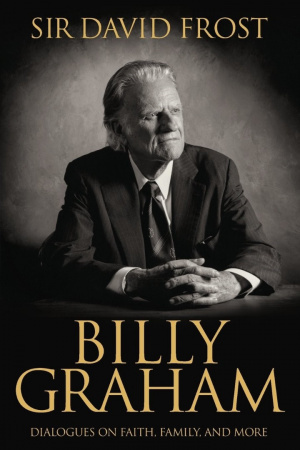 Be the first to review Billy Graham! Got a question? No problem! Just click here to ask us about Billy Graham.